It's time to take that road trip to the Mono County gem. LONGER HOURS... that come to the location when the days get brighter and lighter. 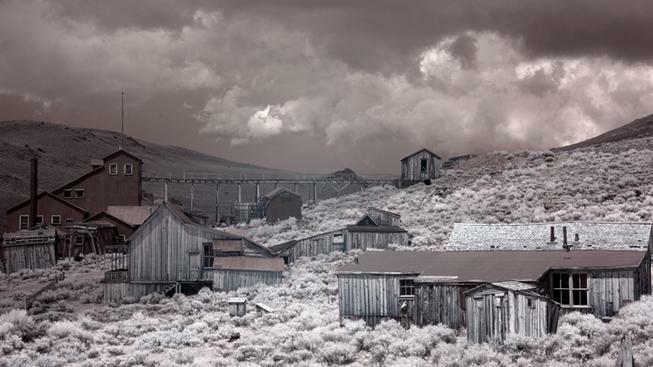 That bigger Bodie day kicked off on the first of April and will last right through to Halloween, a very Bodie-esque day, indeed (well, the location does often rocks the "ghost town" handle while ghosts and Halloween are age-old buds). The longer hours begin at 9 in the morning, much like winter, but wrap up at 6 o'clock. Good to think about? Just because it is springtime doesn't mean a dramatic storm full of flakes and swirl won't sweep by, because that happens in the area, for sure. Also? A few special days are coming up, in the summer of 2018, including photo-themed sunrise and sunset happenings. Ready to road trip it to the town of "arrested decay," a place gloriously frozen in history, but still so, so alive? Your daytime explorations just got a bit of room and stretch, as of April 1.